The conference of the National Union faction, which has MKs in the Habayit Hayehudi Knesset party, approved a plan Tuesday for essentially annexing the territories while either facilitating the exit of Palestinian residents or allowing them to remain but without voting rights. The approval of the plan, dubbed by its supporters “The Decision Plan,” has been actively promoted by Habayit Hayehudi MK Bezalel Smotrich. It aims to “alter the discourse and present a true alternative to any plan based on dividing the land,” according to a National Union statement. “After a hundred years of managing the conflict, the time has come for a decision,” Smotrich told the assembly. “The principles [of the left] have within a few years become accepted by growing parts of the Israeli leadership. First on the left, and later, unfortunately, also on the right, which to a great extent has lost its belief in the justice of our path and has been dragged toward the two-state solution. “1. Anyone who is willing and able to relinquish the fulfillment of his national aspirations will be able to stay here and live as an individual in the Jewish state. “2. Anyone who is unwilling or unable to relinquish his national aspirations will receive assistance from us to emigrate to one of the Arab countries. Smotrich proposes offering “self-government” to the Arabs in the occupied territories, who “would be divided into three regional municipal governments that will vote in democratic elections,” based on districts. National Union members seem offended when asked to explain why their plan isn’t racist. “God forbid,” said party secretary Ofir Sofer. “It’s clear that there are difficulties in discussing this using the concepts we have today. But it’s not racist,” he said. Sofer added that although the plan uses the term “the Arabs of the Land of Israel,” it does not mean that Israeli Arab citizens would lose their citizenship. As far as an explanation as to what will constitute “handling by the security forces” that the plan warns about for those who refuse to leave and retain national aspirations, both the plan and Sofer are vague. Smotrich’s program may sound ephemeral, but it received recognition from Netanyahu, who sent a videotaped message of support to the conference. “I was happy to hear that you are devoting the discussions at the conference to the subject of the future of the Land of Israel. Up until not so many years ago, this country was deserted and abandoned, but since we returned to Zion, after generations of exile, the Land of Israel is flourishing,” said Netanyahu in the recorded greeting. The premier’s greeting got rather weak applause. The most common explanation for this among the National Union activists is their belief that Netanyahu doesn’t really believe in the plan, but was just trying to pass Habayit Hayehudi’s Bennett on the right. “He’s winking at the right,” said one delegate. “He understands that the votes are on the right,” said another. For Agriculture Minister Ariel, it’s enough that Netanyahu is paying attention. Bennett’s absence from the conference was no coincidence; those who know him say the education minister isn’t very excited about Smotrich’s proposals. A few years ago Bennett presented his own “Pacification Plan,” which included annexation of some parts of the territories but didn’t include any mechanism for a population transfer. Although Habayit Hayehudi and the National Union are closely affiliated and have been running together for Knesset, Bennett’s associates say he knows he will never be able to reach the political heights he’s seeking – in other words, the prime ministership – on a joint list with the National Union. He believes that a list which includes political views such as Smotrich’s can never be a ruling party. Their alliance has been a strategic one, but if he had an opportunity to run with a party that could attract more centrist votes, he would be happy to part ways with it. "Get out, or crawl under our heel"
That's democracy in action, political Zionist style. This isn't a "one state" peace strategy - it is an enslaving of a people constitutionally. Thanks for sharing, Evelyn. I've shared it as well. Shame on these land grabber!!!!!!!!!!!!!!!!!!!!!!!! This should be done to them, perhaps, then they might remember....??? Noted!! sharing, thank you, Evelyn, for sharing this 'news"... it is never ending, the loss and depletion of Palestinian lands, annexed and stolen by the apartheid Israeli regime government that has no respect for Palestinian lives, property, or human rights!! Boycott Israel!! End the illegal settlements, land thefts, and all U.S. aid to Israel. Stop the ethnic cleansing of Palestine, end the siege of Gaza!! End the occupation of Palestine, now!! Israeli authorities demolished a Palestinian school hours before the children's first day back. Who'd expect "Decision Plan" to be so abusive of rights? Noted TY Evelyn & Freya's petitions signed in July. "Israel's effort since the 1967 Mideast war to fill the West Bank and Gaza Strip with Jews has grown from the scattered actions of zealous squatters into a network of 142 towns and villages that house nearly 240,000 people.."
I'm unable to access the article - I ran across this older post; it's too long to type -- if anyone can access it, type a live link.. or, leave the text in the message box, it would be an interesting read .. it goes back some 12 years, at least! Israhell at their evil doing continues & international laws broken as usual & U.N. does nothing to stop Nuttyahoo! Thanks Evelyn. Part of the same strategy???? Justice Minister Ayelet Shaked and Education Minister Naftali Bennett announced on Thursday the introduction of a new basic law that would limit the authority of the High Court of Justice to strike down laws. The High Court has the power to interpret legislation and disqualify law in accordance with its interpretation. Basic laws have constitutional status, and the proposed basic law would include an override provision that would allow a Knesset majority to vote to bypass the High Court’s ruling. The proposal by Bennett and Shaked, both of whom are from the Habayit Hayehudi party, doesn’t specify the exact number of Knesset members that would be necessary to override a court decision. When a similar override proposal was made in the past, then-Supreme Court President Aharon Barak demanded a super-majority of 70 Knesset members be required to take such an action. Former Justice Minister Daniel Friedmann had suggested a simple majority of all Knesset members, that is 61 of the Knesset’s 120 members be required, rather than a simple majority of attending MKs. The Habayit Hayehudi legislators' proposal follows two particularly activist decisions made recently by the High Court. One, written by Justice Noam Sohlberg, disqualified a law due to flaws in the legislative process that would have imposed a special tax on owners of three or more homes. The other disqualified the practice of passing a two-year government budget. In the case of the two-year budget, the court involved itself in an unprecedented manner in the provisions of a basic law. Bennett and Shaked’s initiative would limit the High Court from intervening and deprive the court of the power to disqualify a basic law. It would also limit the High Court’s authority to strike down laws due to flaws in the legislative process. .. telling cartoon... says it quite well!! WTH? This is horrible, completely unacceptable.Thanks Evelyn. Thanks for the links Jess. Already signed your petitions in July, Freya. Thank you. Unbelievable..., horrible, this is 21st century? Can anyone link/ get text from this article? JERUSALEM (AP) — Israel's effort since the 1967 Mideast war to fill the West Bank and Gaza Strip with Jews has grown from the scattered actions of zealous squatters into a network of 142 towns and villages that house nearly 240,000 people. Now that Israel plans to spend some $2 billion to dismantle just 25 of the settlements — for which U.S. aid has been requested — it raises the question of how much money has been poured into populating these biblical lands with Jews, and exactly where it came from. Vice Premier Shimon Peres estimates Israel has spent about $50 billion since 1977, when the hard-line Likud government took over from his Labor party. Other former finance ministers and government officials don't discount a price tag — commonly floated but never documented — of $60 billion. "No one eye in the world saw the whole picture," says Labor Party lawmaker Danny Yatom, a confidant of the late Prime Minister Yitzhak Rabin. "Most of it is not camouflaged, but it is not possible to connect A to B to C to D to E to F to G."
Calculating an exact figure is impossible because much of the building was financed through winks and nods, an opaque state budget and secret military spending that in some cases violated Israel's laws and undercut international peacemaking efforts, according to official Israeli inquiries as well as Associated Press interviews with past and present officials, settlers and their opponents. Among the methods used, the interviews show, were government subsidies, shadowy land deals, loopholes in military spending, and an auditing bait-and-switch in which U.S. aid was used to free up billions of dollars for spending on the settlements formally opposed by the United States. And a government-commissioned inquiry in March revealed similar methods were used to build and expand dozens of unauthorized West Bank "outposts" — set up as flag-showing exercises and usually consisting of a handful of people in mobile homes. It found widespread government complicity in establishing more than 100 such outposts, and the inquiry's chief, former prosecutor Talia Sasson, called the government's actions "a blatant violation of the law." Last year, the funding of the outposts came in for sharp criticism from the State Comptroller, the government's main watchdog. It found at least two cases where the Housing Ministry funded outposts that the military had ordered demolished. "Let me be very, very clear: It's not a question of dark-of-night grabs, or hide-and-seek or deceit on anyone's part," said lawmaker Yitzhak Levy of the pro-settler National Religious Party, who headed ministries in Likud and Labor governments. The settlements started after 1967 under Labor governments, which sought to confine them to border areas they considered necessary for national security. But then Likud came to power in 1977, claiming a God-given right to the whole West Bank and Gaza Strip. The chief settlement advocate was Ariel Sharon, the former general who — now as the prime minister — has ordered the Gaza pullback. Using his Cabinet posts between 1977 and 1992 — agriculture, defense and housing — he doled out government grants, low-cost loans and tax breaks to settlers. He also gave birth to the idea of advertising the enclaves as bedroom communities just minutes from Israeli urban centers. Some settlements close to towns in Israel proper were subsidized by giving the inhabitants tax cuts, cheap mortgages and grants of between $6,900 and $57,000 — perks ordinarily reserved for outlying areas. Maaleh Adumim, the largest settlement with about 30,000 people, received this "priority" status even though it is just three miles from Jerusalem. So did Elkana, an affluent settlement five miles from Israel's economic hub, Tel Aviv. "When I was at the Ministry of Housing, I set the objective of expanding (settlements in) outlying areas," said lawmaker Levy. The classified defense budget further propelled expansion, funding troop deployments to guard settlements, and building fences and wide roads for settlers living among more than 2 million Palestinians who adamantly oppose their presence. The estimates of $50 billion to $60 billion do not include the 32 settlements built on the Golan Heights which Israel captured from Syria in 1967, and whose native populace is Druze, not Palestinian. In the West Bank, entire settlements were built under the guise of military or security needs, even though they weren't formally authorized by the government, according to Yatom, a former West Bank military commander. A government official conceded that some uses of military funds "in hindsight ... aren't legal and shouldn't have been done." He spoke on condition of anonymity because he was discussing possible violations of the law by the government. At times, government watchdogs balked at the way government funds were being used. Most recently, the Interior Ministry launched an investigation into the transfer of $2.8 million in 2003 and 2004 from settlement municipalities to a settlement lobby group, which is funding the fight against the Gaza pullout. Because the state and separate ministerial budgets don't break down outlays by region, it is difficult to identify the flow of money to settlements. Supporters and detractors both say this allowed Israeli governments to hide behind the budget when it came to settlement financing — and forestall friction with Washington. Despite its declared opposition to settlements, Washington only began taking action in the early 1990s, when Israel sought billions of dollars in U.S. loan guarantees. Washington said it would deduct sums that went into settlements dollar for dollar. In 2003, when Israel was granted $9 billion in loan guarantees over three years, the cut was $289.5 million. Officials familiar with the issue, and speaking on condition of anonymity, say that low figure was reached with the help of the influential pro-Israel lobby, the American Israel Public Affairs Committee (AIPAC). Israel also used private U.S. donations for which it secured U.S. tax-exempt status, said David Newman, a political scientist at Israel's Ben Gurion University who researched settlement funding. U.S. tax laws don't exempt donations for political activities such as settlements. Israel separated the World Zionist Organization from the quasi-governmental Jewish Agency, a move that allowed donors to inject money into settlements without losing tax exemptions. In reality, the two groups operate under one umbrella, with the same officials, departments and administrators overseeing the activities, Newman said. Perhaps the grayest area is how Israel expropriated, confiscated or purchased land for settlements. During the first 12 years of occupation, more than 10,000 acres of land confiscated by the military for security needs were handed to settlers, according to Defense Ministry statistics quoted in "Lords of the Land," a book by Israeli authors Akiva Eldar and Idit Zartel. Even after Israel's Supreme Court in 1979 raised the bar for security-related land confiscations, the state seized thousands more acres of West Bank land on security grounds and turned it over for settlers, some living in unauthorized enclaves. Shaul Goldstein, head of the Gush Etzion Regional Council in the West Bank, said his council recently paid $10,000 for 11,000 square feet of Palestinian land — about one-twentieth the cost of land just over the border. During the past four decades, the settler leadership and Israeli governments have manipulated budgets, circumstances and public opinion to make the settlement enterprise into what it is today, Newman said. "They don't need to play around with the illegal use of money because their network is so strong," he said. Aaron - if you don't trust Haaretz, find them a laugh, do you accept Jewish Philosophy Place? Jewish Studies colleagues along with readers of Tablet Magazine online and the Jewish Review of Books should find of interest this piece by here by JJ Goldberg. The article is about a recent rightwing plan, promoted by one Bezalel Smotrich, whose party belongs to Netanyahu’s ruling coalition, to annex all of the West Bank, to create there a formal apartheid system with the ultimate aim of encouraging ethnic cleansing. The interest lies not simply because the plan is odious, but that it was promoted in the pages of a Hebrew journal in Israel sponsored by the Tikvah Fund. While Goldberg does not directly address the responsibility of Jewish Studies colleagues involved with the Tikvah Fund and its various and associated platforms in the States, the question is unavoidable. The involvement of the Tikvah Fund with this journal speaks (as per Goldberg) to deep moral rot not just in conservative Jewish thought in the U.S. but also to political blindness, if not creeping moral erosion in Jewish Studies. I want to be clear. I am not accusing anyone of directly or even knowingly supporting this kind of fascism in Israel. But if you work with or have ever contributed to a Tikvah Fund or Mem Bernstein affiliated publications, you have to understand that you are a part of the problem if and for as long as you continue to remain silent in action and word. “Smotrich’s plan was released September 6 in an 8,600-word lead essay, “The Decision Plan” (Tochnit Ha-Hachra’ah) in the fall issue of the Hebrew-language bimonthly Hashiloach, a conservative journal of ideas published by the New York-based Tikvah Fund. That’s right – this plan’s institutional backing includes one of the most distinguished philanthropies in Diaspora Jewry. Tikvah is one of several conservative foundations endowed by the estate of the late investment fund manager Zalman-Sanford Bernstein. It is largely controlled by his widow, the philanthropist Elaine Mem Bernstein, and Tikvah’s board of directors includes some of the most prominent names in Jewish neoconservatism, including William Kristol and Elliott Abrams. In addition to Hashiloach, launched a year ago, Tikvah also has a number of other publications, including the English-language journals Mosaic, Jewish Review of Books and the Library of Jewish Ideas, a book series published jointly with Princeton University Press. Another Bernstein foundation, Keren Keshet-The Rainbow Fund, publishes Nextbook and Tablet Magazine. A third, the Avi Chai Foundation, is a major force in Jewish education reform. Hashiloach takes its name from an early Hebrew-language journal founded in 1897 by the Zionist essayist and gadfly Ahad Ha’am and later edited by the revered poet Hayim Nachman Bialik before folding in 1919. Tikvah’s choice of that name for its journal might be deemed ironic, given the contrast between the liberal stance of the original Hashiloach, which championed a spiritual, anti-nationalist brand of Zionism, and the hardline politics of the current incarnation. On the other hand, the choice is in character for the Bernstein family of publications, which tend to combine their core political conservatism with a free-wheeling cultural sensibility and an openness to diverse, challenging ideas. Goldberg's article in The Forward! In addition to Hashiloach, launched a year ago, Tikvah has a number of other publications, including the English-language journals Mosaic, Jewish Review of Books and the Library of Jewish Ideas, a book series published jointly with Princeton University Press. Another Bernstein foundation, Keren Keshet-The Rainbow Fund, publishes Nextbook and Tablet magazine. A third, the Avi Chai Foundation, is a major force in Jewish education reform. Hashiloach takes its name from an early Hebrew-language journal founded in 1897 by the Zionist essayist and gadfly Ahad Ha’am and later edited by the revered poet Hayim Nachman Bialik before folding in 1919. Tikvah’s choice of that name for its journal might be deemed ironic, given the contrast between the liberal stance of the original Hashiloach, which championed a spiritual, anti-nationalist brand of Zionism, and the hard-line politics of the current incarnation. Still, Smotrich’s right-wing theories are a stretch even for the free-wheeling, open-ended conservatism of Bernstein-world. The notion of a mass population transfer to rid Israel of Palestinians, even if imagined as somehow voluntary, has long been consigned to the fetid corners of Israel’s radical right. If it’s now moved into the mainstream to the point where it can be taken seriously in a distinguished journal of ideas, that’s a depressing comment on the current state of Israeli and Jewish political discourse. If, on the other hand, it hasn’t gained that sort of broad respectability, then its appearance in Hashiloach suggests an alarming erosion of moral focus in Jewish neoconservative thought, as represented by the Tikvah Fund and its affiliates. The respectability granted to Smotrich’s essay is particularly puzzling given its intellectual weaknesses, from faulty logic to naivete regarding international relations to plain ignorance. He claims, for instance, that the name Palestine, coined by the ancient Romans after their conquest of Judea, was revived by the Arabs of the Holy Land “when they launched their struggle against the Zionist movement” — when in fact the name had been in common use in Europe for centuries before and was imposed on the local Arabs by the British Mandate, not vice versa. At another point, Smotrich writes that Palestinian extremism and terrorism were products of the 1993 Oslo Accords. Perhaps the 37-year-old settler-lawyer, born and raised in the hermetic world of the settlements, is unfamiliar with the bloody record of the pre-1967 Palestinian Fedayeen. Maybe he’s never heard of the horrific wave of Palestinian terror attacks throughout the 1970s on Israeli homes, schools, hotels, airport terminals and even Olympic athletes. It was before his time. Smotrich recites at great length the paradoxical argument that coexistence between two nations living side by side in the Land of Israel is impossible because, first, the Palestinians refuse to accept the legitimacy of Jewish statehood, and second, the Jewish claim to the land is the only legitimate claim — meaning, by his lights, that even if the Palestinians were to accept the legitimacy of two states, the Jews could not legitimately do so. That is, the Palestinians are at fault for not accepting the principle of sharing, which we don’t accept either. Picking at the holes in Smotrich’s arguments shouldn’t distract us from the larger questions raised by his plan. A morally repugnant concept that was rightly condemned as racist a generation ago is now the policy of an Israeli government coalition partner. This should have caused an immediate coalition crisis but, shamefully, it hasn’t. The plan’s mainstreaming in Israeli public life has been partly enabled by one of American Jewry’s most important philanthropies. This should have caused a crisis in Israel-Diaspora relations but, again shamefully, it hasn’t. If there’s a bright spot in all this, it’s that we have a week and a half until Yom Kippur — time enough to repent our sins, to do justice and love mercy. Thank you for the text, Evelyn. Yes, I think that is the article from 2005. Posted on September 19, 2017 , is well worth reading. Thank you for sharing that one. The Jews in pre-state Israel who called for a binational stare - Israel News. 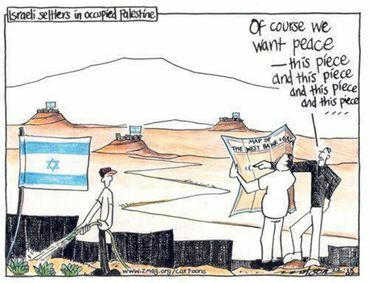 No matter how the Zionist state occupied! As long as the Zionist lobby controls the political decisions in the US Congress and the so-called United Nations silent about this injustice! The West and the Arabs are watching! The occupation of Palestinian lands and their displacement from their land will continue ! !